Ukraine’s capital city doesn’t get the praise it deserves. This stunning city is popular for its 11th-century architecture and is the ideal place to learn about Ukraine’s Soviet past. It is also home to Ukraine’s famous catacombs, Kiev Pechersk Lavra, which are lined with burial grounds of ancient monks and ancient objects. Religious architecture and secular monuments make up Kiev’s historic Old Town. It is a playground for the history scholar and all who are fascinated by the early history of Eastern Europe. A city that dates back to the 5th century, this is the place to be to learn everything that needs to be known about Ukraine’s captivating culture. Check out the Kiev Pechersk Lavra, a monastery and eerie cave system. Also visit the top attractions like Khreshchatyk Street, Maidan Nezalezhnosti (Central Square), and the Museum of the History of Ukraine in World War II. Finally, a trip to the Ukraine is not complete without seeing Kiev’s iconic 11th century Orthodox Cathedral, Saint Sophia's Cathedral. Many of the city’s landmarks are in the central part of Kiev. Free walking tours are an ideal way to see them all and keep you on budget. This private group is made up of young volunteer guides that love to teach tourists and travellers about the beauty that Kiev offers. Two organized daily tours cover different sights of the city. The first tour walks through the centrally located Independence Square, St Sophia Cathedral, and the Golden Gate among many other landmarks. The seconf tour goes along Kiev’s main street, Khreschatyk, and covers sights like the House of the President and National Theatre. This group also offers two daily tours of the city. 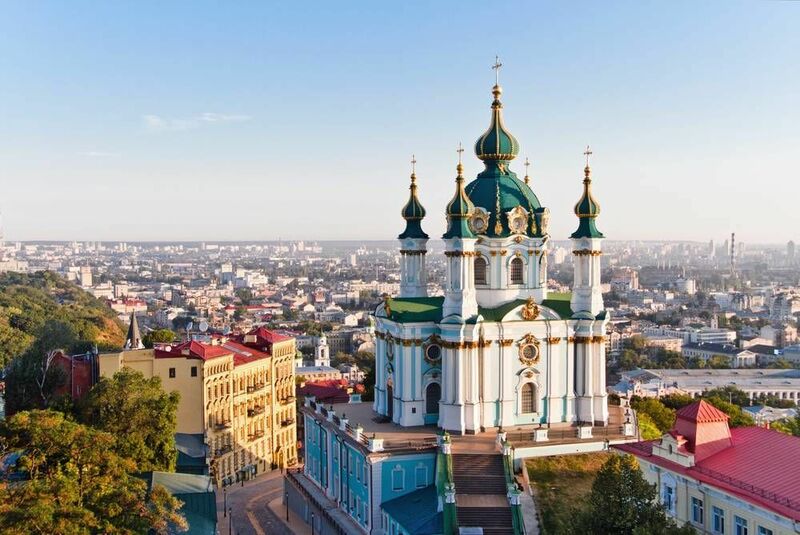 The first, The Ancient Kiev Tour, takes you on a memorable adventure of the town including sights like St. Michael`s Cathedral and Kreshatyk street. Those who are interested in learning about the Ukrainian revolution should take the free Soviet Kiev tour. This tour provides you an insight into Soviet Ukraine and takes you to the political sights of the city. Below you can find more popular (but not free) activities and tours in Kiev. Are you from Kiev and want to be a tour guide? Please get in touch by submitting your details on this page!